If I Get A Divorce, Does My Spouse Still Collect My Social Security Benefits? Recently, a friend of mine who is getting a divorce asked me this very question. I had just recently read a Wall Street Journal article by Kelly Greene entitled “Social Security Benefits Don’t End With Divorce” and I summarize the findings below. Luckily a divorced spouse can collect a Social Security retirement benefit based on the work record of an ex-husband (or ex-wife), and it won’t affect the latter’s retirement benefit or that of his or her current spouse. For the divorced spouse to collect the worker must be at least 62 years old and collecting benefits or be eligible for benefits. 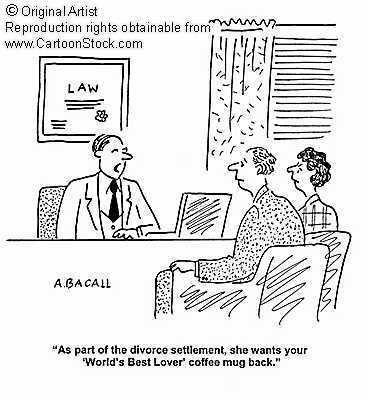 The divorced spouse is also eligible for widow’s benefits after the worker dies. Your current spouse also can claim Social Security based on your work history, along with widows benefits. In a situation where the divorced spouse would be collecting survivor benefits, he or she could qualify at early as age 60 – or age 50 if he or she qualifies as having a disability. If the divorced spouse remarries, he or she typically forfeits the working spouses SS benefit based on the former spouse’s working record. However, if the spouse remarries after 60 he or she can still collect a widow’s benefit when the former spouse dies.